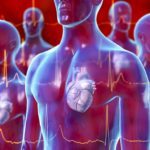 Baseline serum 25(OH)D level was not predictive of long-term incident atrial fibrillation risk. CHICAGO — Supplementation with calcium and vitamin D had no effect on the incidence of atrial fibrillation (AF) in patients enrolled in the Women’s Health Initiative, although there was a suggestion that supplementation could be protective in patients with severe vitamin D deficiencies, according to research presented at the Scientific Sessions of the American Heart Association, held November 10-12. Researchers in this large, randomized trial performed a secondary data analysis of the Women’s Health Initiative to evaluate the efficacy of supplementation with vitamin D and calcium for the prevention of atrial fibrillation. Trial participants were randomized to either receive a placebo or 1000 mg calcium with vitamin D3 400 IU/day. A subset of participants was evaluated for baseline levels of serum 25-hydroxyvitamin D [25(OH)D]. Incident AF was ascertained by linking participants to Medicare claims. Among the 16,801 trial participants with Medicare data available, 1453 (8.6%) developed incident atrial fibrillation during an average span of 4.5 years. No significant difference was found in rates of incident atrial fibrillation between the supplementation and placebo groups (hazard ratio [HR], 1.02 for calcium/vitamin D vs placebo; 95% CI, 0.92-1.13). Although supplementation did appear to offer some protection for patients who were severely vitamin D deficient (defined as <10 ng/mL 25(OH)D), this suggestion was not statistically significant (HR, 0.72; 95% CI, 0.31-1.66). After adjusting for confounders such as body mass index, age, diabetes, hypertension, and baseline intake of vitamin D, no significant association was found between baseline levels of 25(OH)D and incident atrial fibrillation (HR, 0.98 for lowest vs highest quartile; 95% CI, 0.72-1.32). Boursiquot BC, Larson JC, Shalash OA, Viotlins MZ, Soliman EZ, Perez MV. Vitamin D plus calcium supplementation and risk of atrial fibrillation. Presented at: AHA 2018; November 10-12, 2018; Chicago, Illinois. Abstract #1087.